AARON GWIN OPENS 2018 WORLD CUP SEASON WITH EXCITING WIN! 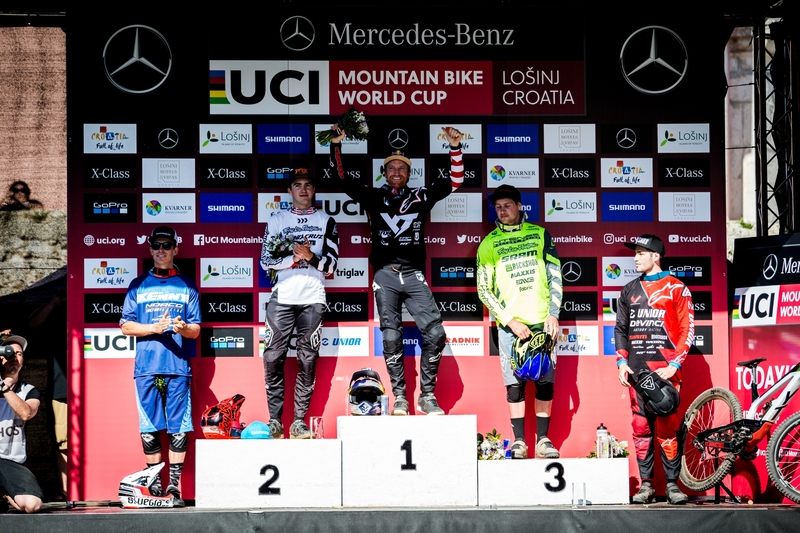 For the 2nd time in three years Aaron Gwin (USA) has won the opening round of the UCI World Cup for his team The YT Mob, and this time it was at the brand new venue of Veli Losinj here in Croatia. The track is short, steep, and extremely rocky, with most riders finding it difficult to maintain lines at speed. It also took riders from the roughest section on the World Cup circuit, to the smoothest section with a short urban run to the finish line. 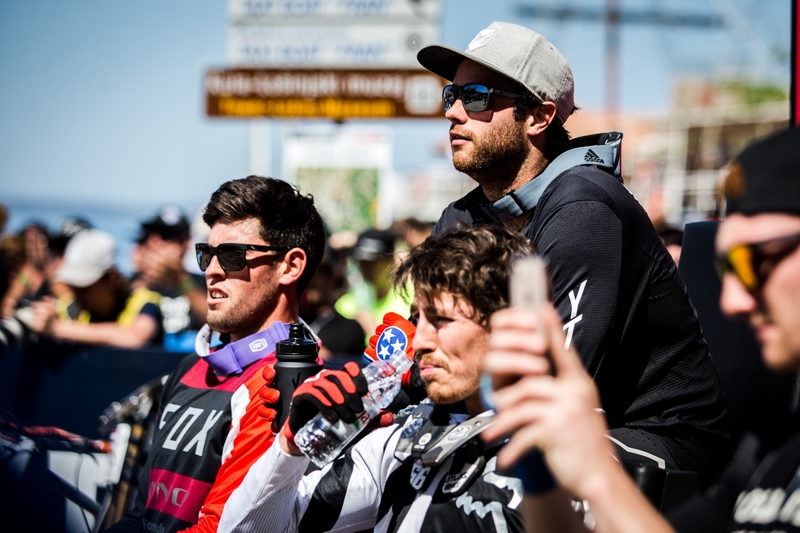 In the past 20 years there have only been three occasions where the winning man of the opening round goes on to win the overall series, and all three times that was Aaron Gwin, so his rivals will be fully aware that ‘the boss’ has started his season with typical strength and precision. Team mate Neko Mulally (USA) improved greatly on his 31st place qualifier to finish 12th in the final, earning himself a protected spot going into round 2, to be held in Fort William (SCO) in a little over a month from now. That’s a track he tamed last year with his YT TUES and took a well-deserved 7th place. Unfortunately for the team’s third rider Angel Suarez (ESP), a small cut on the side wall of the tire from one of millions of sharp rocks on the course, ended his chances of following up his strong qualifier where he finished 26th, after a year off with injuries. So stoked to be back at the races with my team. We had a great weekend together and I’m proud of all the guys for their hard work and successes this weekend. The new bike worked flawless and I’m super excited that we got our first win on it. Good times here in Croatia, lookin’ forward to the rest of the season! The win for Aaron today was his 20th World Cup victory and places him just one race win behind Greg Minnaar’s all-time tally of 21, as the season looks to Fort William for round 2 on June 3rd. All three riders were racing on the brand new YT TUES Mk III which officially gets launched on April 27th next week.